When it comes to anchoring digital records to a blockchain, using the open standard ensures that records will verify no matter which chain your institution chooses. As I travel the world consulting with institutions and government ministers about creating 21st-Century infrastructure for digital records, I see overwhelming interest in what they currently call “blockchain.” The awkward grammar arises from the confusion that persists from proliferation of choices, technologies, and vendors. Everyone knows a tidal wave is coming and decision makers are trying to understand the technology, potential use cases, and how it fits into their larger strategic plan. At the bottom of the confusion is what many consider to be the most fundamental choice: which blockchain to use? There are many religious wars being fought over this question right now. 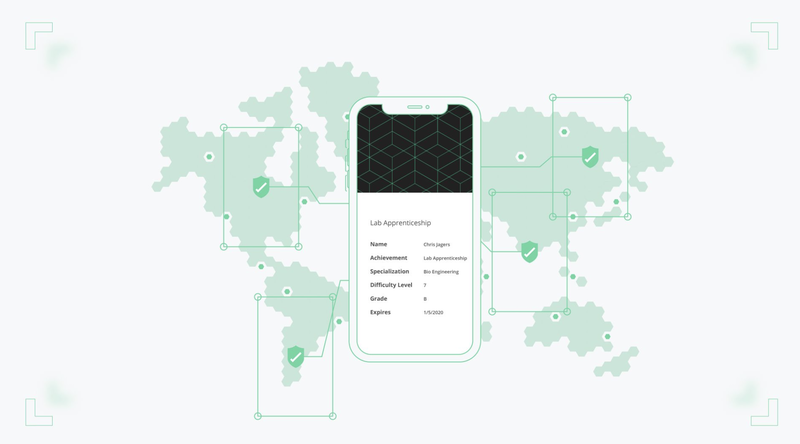 In the case of issuing digital records, the blockchain chosen is the backbone of a decentralized verification network which may compliment or replace a central authority for validating official records. And if the “wrong” blockchain is chosen, meaning that it doesn’t persist over time, then previously issued records won’t have a way of being verified. Further, if different institutions use different blockchains for anchoring digital records, then we end up with a variety of incompatible silos that can’t verify records from other systems, which leave us with records that are no better than our situation today. So, it’s an important question! While matching a use case to the most appropriate blockchain is an important discussion, these points are often debatable and my goal here is to emphasize a much larger point. Blockcerts is the open standard for blockchain-based records. This means your institution can issue to any blockchain, or multiple blockchains. Blockcerts is the open standard for blockchain-based records. This means your institution can issue to any blockchain, or multiple blockchains. 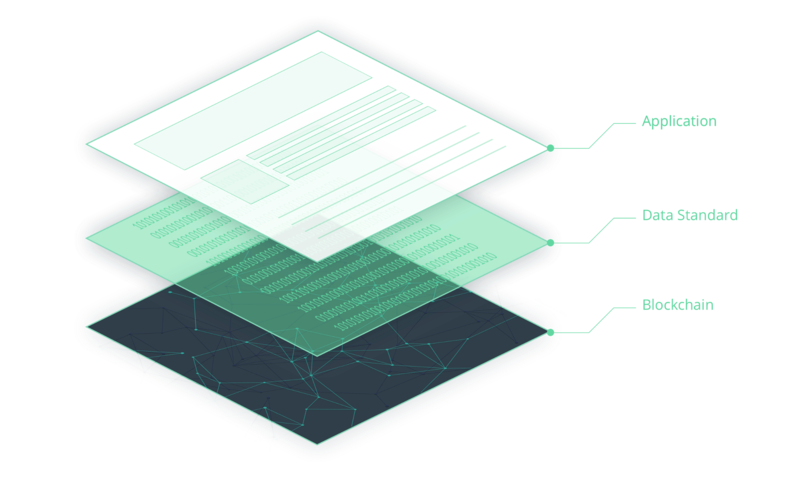 Further, Blockcerts also provides a universal verifier and blockchain lookup service, for checking the authenticity of documents across blockchains. How does this work? In general, Blockcerts operates as a middle layer between the business software issuing or verifying digital records and the blockchains they are being anchored to, which ensures that data is easily recognizable (readable and writable) between these layers. Blockcerts is the data standard middle layer that ensures interoperability. Open data standards like this are powerful because they ensure interoperability of records across systems, and now blockchains. When your institution adopts the open standard, it gains freedom and security when deciding which blockchain(s) to use. What’s the difference between “open source” and “open standard”? Unfortunately, many vendors only imply interoperability because their solution is “open source.” However, this claim is too vague to be meaningful, and well short of being a data standard. Let’s look at both. Larger vendors like IBM offer open-source tool-kits, which means they give you metaphorical hammers, nails, and wood (sometimes for free) to build software systems, or even blockchains. However, this doesn’t necessarily mean that the resulting system issues digital records recognizable by other systems. Smaller vendors, like ICO networks, offer a token for transmission or verification of records that only work within their network. While those networks may be open source, from an interoperability standpoint it is the equivalent of a proprietary solution, because those records can’t be received, viewed, or verified outside of that network. For the sake of argument, let’s say everything (the issuing system, the digital records, the verification process) are all indeed open source. Is that enough? Beyond being “open,” code must be standards compliant in order to be intelligible across systems. And just because a vendor makes something open, doesn’t automatically make it a standard or standard-compliant. Open source code is crucial for progress and security, because anyone can build on it and anyone can inspect it for security issues. However, that doesn’t make it a standard or guarantee interoperability. In order to achieve those goals, code must be built from (and evolve with) other data standards which are maintained by recognized organizations, like the W3C. Blockcerts is currently the only data standard for anchoring digital records to a blockchain for recipient ownership and later verification. Not only is every part of it open source, every part of it is built from recognized data standards. In the end, the digital object produced is a standard JSON-LD file that can be stored anywhere and read by any system. Standards are building blocks because they connect and build on top of each other, forming ever greater mechanisms of usefulness. For instance, now that Blockcerts is a standard, it has become the official Open Badge extension for anchoring open badges to a blockchain. All of this means that Blockcerts is the safest way to issue digital records that leverage a blockchain for decentralized verification. Using this standard means that your resulting digital records can be read anywhere, will be instantly verifiable — regardless which blockchain you choose. When people ask this question, they are often asking about Blockcerts being adopted as a common social standard, rather than a technical standard. This is understandable, because from a standards standpoint, you want to make sure you’re betting on the one that most people are using and that has the greatest chance of winning out in the end. Blockcerts is that standard. Why? Because it is currently the only open standard in the world for issuing and verifying official records using any blockchain — and which preserves truly vendor-independent verification. Its adoption is picking up rapidly, with dozens of institutions building on it and major companies, universities, and countries rolling it out across their credentialing ecosystems. Blockcerts isn’t just a safe bet, however; it’s also supported by important underlying social values. Sure, a huge vendor like Facebook could come along and provide a proprietary solution that gains worldwide adoption overnight. However, that would undercut the exact values that blockchain promises to provide: recipient ownership, decentralization, privacy. In short, standards create an interoperable layer that can be used by all vendors in a data-compatible way, resulting in competition for businesses to provide the most loved and feature-rich service. That future can’t be taken for granted with blockchain technology. It only happens when organizations choose open standards and, by doing so, choose to create an empowering, interoperable future. Thanks to Natalie Smolenski, Kim Hamilton Duffy, and Dan Hughes.